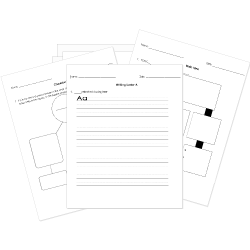 You can create printable tests and worksheets from these Grade 9 Animal Farm questions! Select one or more questions using the checkboxes above each question. Then click the add selected questions to a test button before moving to another page. is the author of Animal Farm. The least intelligent animals on the farm are . Which animal voluntarily leaves the farm? When the novel opens, the name of the farm is . What is Farmer Jones's main vice? For the glory of Animal Farm. Remember the Battle of the Cowshed. As the novel opens, which character is the leader of the animals on the farm? Animal Farm, like 1984, is a novel, which attacks the idea of totalitarian communism by painting a terrifying picture of a world in which personal freedom is nonexistent. is the poet pig who writes verse about Napoleon and pens the banal patriotic song called to replace the earlier idealistic hymn passed on to the others by Old Major. What does Napoleon rename the farm in his toast at the end of the novel? What is Boxer always saying? The new philosophy adopted by the animals is called . After describing his vision of a socialist utopia, Old Major teaches the animals an idealistic hymn called as inspiration for the Rebellion. Tsar Nicholas, who was ousted by the Russian Revolution, is best represented by the character of . Which animal suffers the loss of young off-spring to the dictator pigs? The principles of the animals' new philosophy is expressed in (how many) commandments? The pigs Napoleon and Snowball are based on the Communist party leaders and . With whom does Napoleon play cards at the end of the novel?